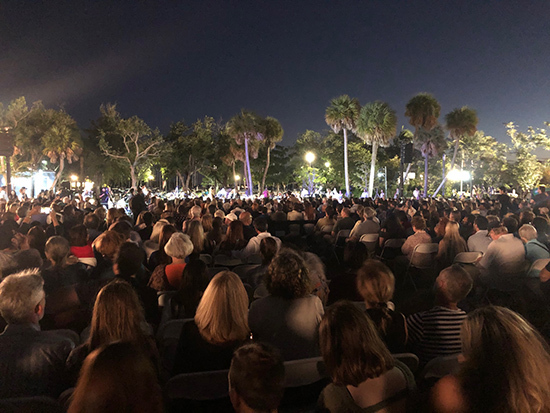 Saturday night was perfect for an open-air opera performance at Regatta Park. Opera Italiana made a stop in Miami on their national tour. They have performed in New York but never Miami, this was their first time. 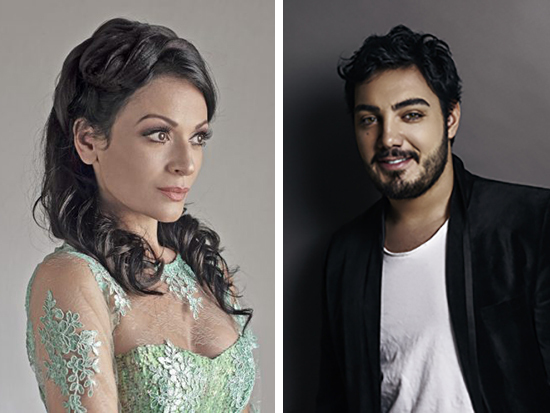 President and Music Maestro Alvise Casellati presented two great names in Italian Opera, Davinia Rodriguez (soprano) and Vincenzo Costanzo (tenor), who sang for the first time together. 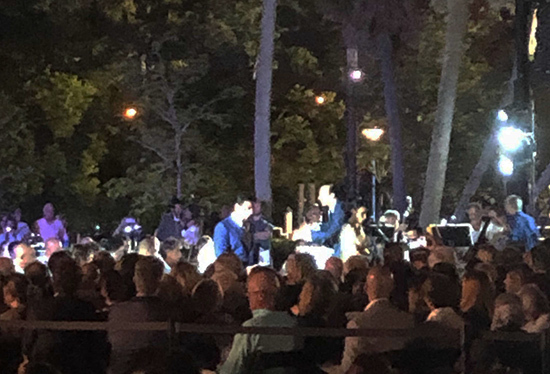 The orchestra was composed of Miami’s top professionals in the first roles, leading local students and new graduates from the city’s major conservatories. The concert was presented by the City of Miami, the Italian Consul General and Board Members of the Key Biscayne Piano Festival. The performers were dressed in gown and suit, I had expected them in some sort of Opera dress and I was expecting a stage, but they performed at ground level next to the conductor and orchestra. The acoustics were perfect. The park was crowded, I was told that there were 1000 seats and all were full and there was a lot of people standing around. It was very well attended and beautiful. People passing by or riding by on bicycles, even scooters, stopped in their tracks and surrounded the performers. I'm sorry the photos are not so great, it was dark and I was not near the stage! In the past, I would have performers pose for me before the performance, but I started talking to a friend who I ran into and before you knew it, the sun was down and the show started.